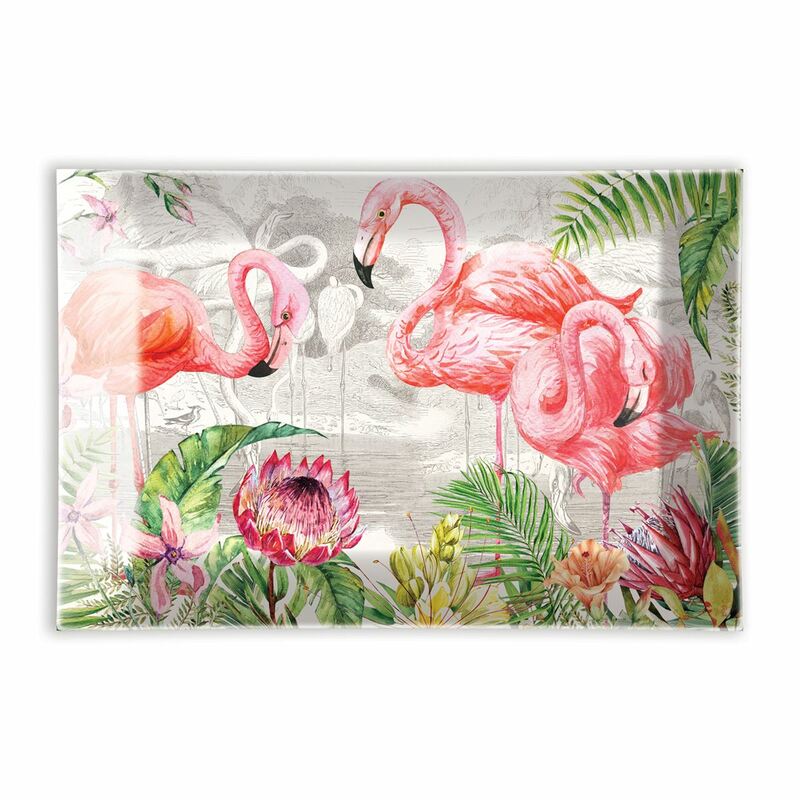 Flamingo Rectangular Glass Soap Dish Shop the largest selection of Michel Design Works glass soap dishes - Flamingo Collection. Plus enjoy free ground shipping on all orders over $50. Rectangular: 5.75 x 3.75 x .5" h / 14.6 x 9.5 x 1.3 cm h.